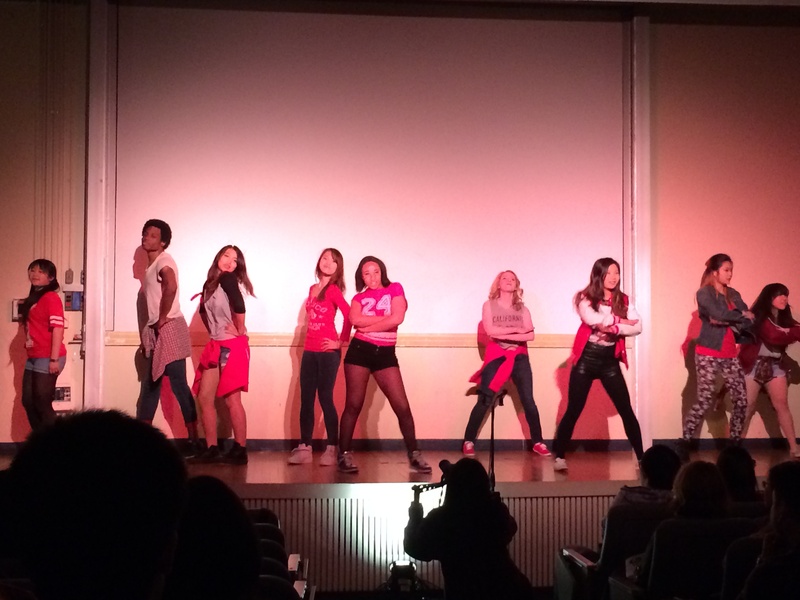 On Friday night the first Korean pop dance showcase, miXx It Up!, was held in Jacob Sleeper Auditorium with over 150 people in attendance. If there’s an award for the club with the most interesting concept, it’s got to go to miXx, hands down: it’s currently the only dance group on campus that solely focuses on “K-Pop,” or Korean pop, a catchy musical genre that has taken the world by storm. Each month, the club learns the original choreography to dances performed by various K-Pop artists and makes music videos of each dance. Whether you’re a K-Pop fan or not, the show was very high in energy and each and every performance was an explosion of fun, with audience members cheering performers on for two hours straight. The club kicked off the show with a cover of the incredibly upbeat “I Got A Boy” by Girls’ Generation. Other memorable performances included covers of “Growl” by EXO and “We Are Bulletproof Pt. 2” by BTS. During a medley of “Animal” by Jo Kwon and “Dr. Feel Good” by RaNia, all of the male dancers turned up the heat in the auditorium by stripping down to booty shorts and taking off their shirts. Although the group has performed at various events throughout the year, including Boston University China Care Fund’s So You Think BU Can Dance?, BU’s Relay for Life and cultural shows held by BU’s Filipino Student Association and Korean Student Association, miXx it up! was the first time the club had an entire show to themselves to show off all the dances they had worked on after seven months of practicing. Dondré Gumbs, president of miXx and a senior in the College of Arts and Sciences, explained to the audience how the club first started: he and Trisha Briones, miXx’s vice president who is also a senior in CAS, began a K-Pop cover group of just five members in Japan while they were both studying abroad last year. When they returned to BU in the fall, they decided to bring miXx to campus and were astounded when over 100 people expressed interest and ultimately joined. Though the stage in Jacob Sleeper Auditorium was small, performers often danced into the aisles, making for a more interactive show with the audience. “Although I can’t understand the language, K-Pop music is always really catchy and fun,” said College of Arts and Sciences junior Michelle Chen. “A lot of time K-Pop includes choreographed dancing and it makes it hard not to be addicted to the music…Watching miXx’s show was just like watching K-Pop music videos. Everyone looked like they were having so much fun and I felt like I wanted to join in and dance with them. I could tell that they put a lot of work and effort into the show, and what was even more surprising was seeing how many members were in miXx,” Chen said. It was an exciting and fun night shared by all, and audience members were seen leaving the auditorium humming along to K-Pop songs the group had covered.